Dyson's $399 hairdryer: Just a lot of hot air? Is this hairdryer worth $400? Dyson is famous for reinventing the lackluster vacuum cleaner market with its innovative, colorful products. Now it's turned its attention to the humble hairdryer. The British engineering firm launched its high-end Dyson Supersonic hairdryer in the U.S. on Wednesday with a price tag of $399. The product will be available at Sephora stores across the country on Friday, and at other retailers later in the month. The debut is sure to lead many long-haired people to wonder, "Is it worth it?" CNNMoney put the product to the test to answer that question. But before we get to the review, here are the key facts. - Dyson spent £50 million ($67 million) to develop the gadget over four years. - Over 100 engineers worked on this product. - Dyson has over 100 patents pending related to the new hairdryer. - Dyson boasts that the hairdryer has an "intelligent heat control" system to ensure it doesn't overheat and cause hair damage. The Dyson Supersonic hairdryer launched in the U.S. this week. - The super-fast motor is located in the handle instead of the head. - Aero-acoustic engineers worked to make the product quieter, leading them to install extra blades in the motor and surround the motor with "acoustic silencers to further reduce sound." - The Dyson Supersonic hairdryer has been available in countries like the U.K. and Japan for months, but the company has not released sales figures. - America's hair care appliance market is worth $1.9 billion, according to research firm Euromonitor International. Globally, the market is valued just above $7 billion. 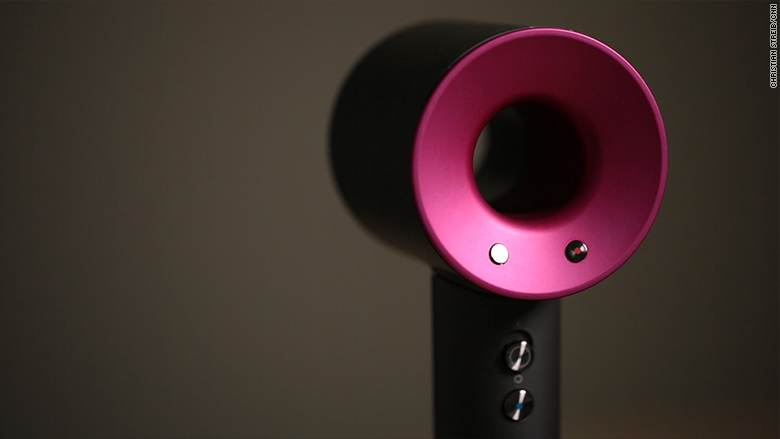 The Dyson Supersonic hairdryer is sleek, sophisticated and completely unique. It essentially looks like a hollow metal donut on the top of a long handle -- and it's downright impressive that it can blow a steady stream of air without a fan in sight. Dyson engineers have undoubtedly created a product that looks different, sounds different and works different. Bonus: It's beautifully packaged. "The way it is presented almost reminds me of an Apple product with its simple packaging," said Lauren Ross, a hair and makeup artist at the British business, Make-up for TV. But this novelty item probably isn't worth the price tag, unless you're the kind of person who is obsessed with having the newest and latest gadgets. Based on a trial run comparing the Dyson to a cheap, run-of-the-mill hairdryer, the Dyson's air flow was more powerful and left hair looking a bit sleeker, smoother and shinier. In a separate trial on curly hair using the curl-boosting diffuser, the process and final results weren't noticeably different than a normal dryer. If there was any impact on frizz or flyaways, it was imperceptible. It also wasn't noticeably faster at drying hair. Dyson promises that its "hair dryer has intelligent heat control, helping to ensure hair isn't exposed to excessive temperatures." However, CNN tests showed the dryer's air was occasionally hot enough to hurt users' scalps. Though that's a problem with standard dryers as well. As for the noise: It was a bit quieter, but not by much. 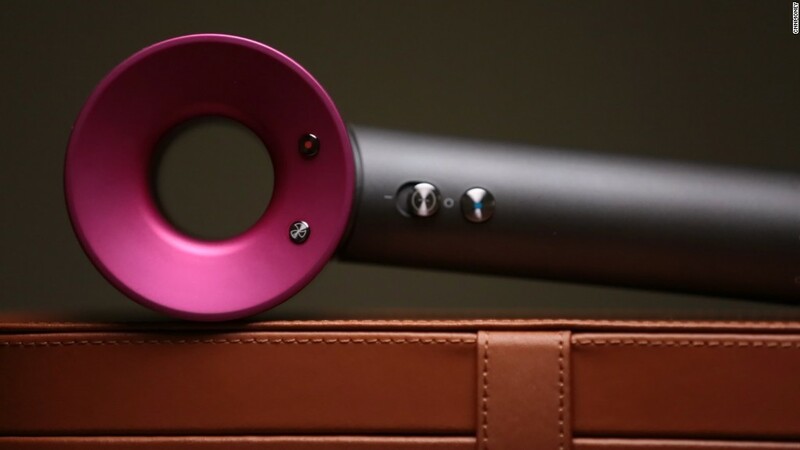 Listening to music while you're blowdrying with this device is probably out of the question. Beyond just the dryer, the styling nozzles are quite novel. They snap into place with strong magnets, a welcome change from the hassle of screwing and snapping on diffusers, picks and concentrators. When it's all said and done, the Dyson Supersonic hairdryer worked well, but it wasn't a miracle device that offered enough benefits to justify the price. "I think it's definitely a luxury rather than a necessity," said Joanne Morgan, professional hair and makeup artist at Make-up for TV. "There's not many people in the [normal consumer] market that would consider, or have the finances, to spend that much money ... on just a hairdryer."